It could be possible that the Platina with a disc brake is being developed for exports only. The Platina has been one of Bajaj's best-selling motorcycles over the years. The Platina is a no-nonsense commuter motorcycle which is quite popular among the rural areas of India thanks to its robust build and low maintenance quality. 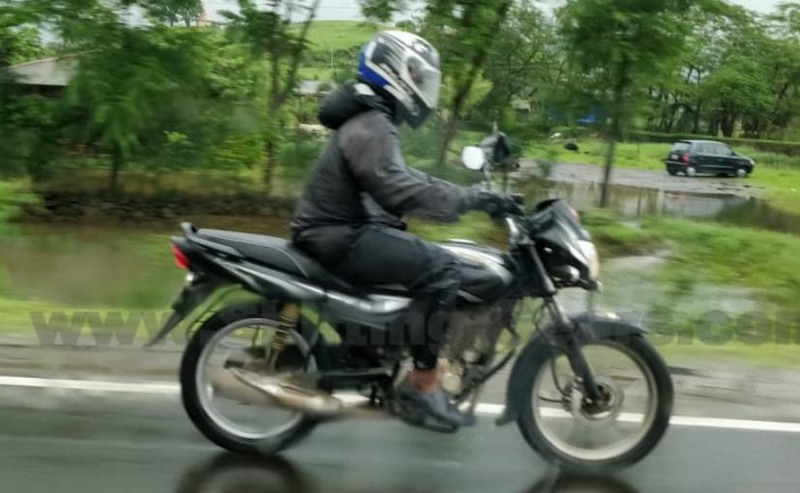 And now, photographs of a Platina with a disc brake have emerged which leads us to believe that Bajaj could launch a Platina model with a disc brake in the near future. The test mule was spotted in Pune, where Bajaj has its plant. Apart from the disc brake, the Platina also featured a few cosmetic updates which seem to have been inspired from the Discover 125. In fact, the front disc brake on the Platina test mule too seems to be a lift from the current Discover 125. The Platina test mule a gold-coloured crankcase along with new decals and a new seat cover as well. The other big change is that the test mule is seen having a 125 cc engine. It might be possible that this model is being tested and developed only for exports and might not see a launch in India any time soon. Currently, the Platina sold in India gets a 102 cc single-cylinder engine which makes a total of 8.1 bhp and 8.6 Nm of peak torque, getting a 4-speed manual gearbox. Currently, the Platina is sold without a disc brake and is one of the more affordable motorcycles from Bajaj with prices starting at ₹ 47,405 (ex-showroom, Delhi). The prices for the Bajaj Discover start at ₹ 51,674 (ex-showroom, Delhi).